Pavilion View Hotel - Bed And Breakfast Bed And Breakfast 25-26 Fort Crescent, Margate CT9 1HX. Pavilion View Hotel - Bed And Breakfast, 25-26 Fort Crescent, Margate CT9 1HX. 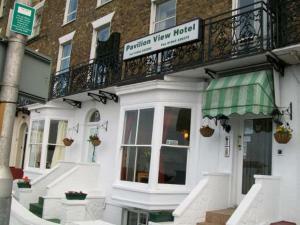 Hotels in Margate: Pavilion View Hotel - Bed And Breakfast, 25-26 Fort Crescent, Margate CT9 1HX.